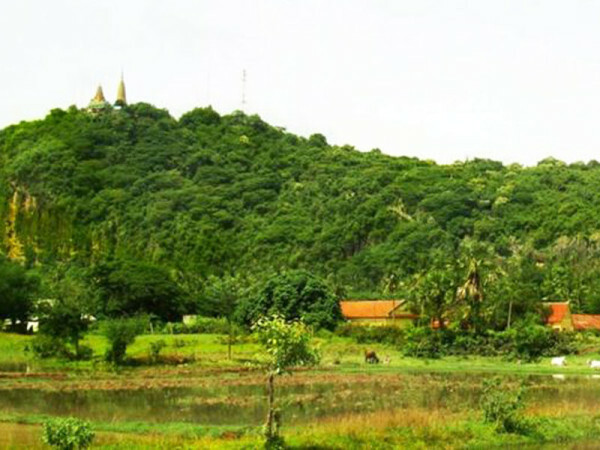 This hilltop temple on the road to Pailin is one of the main locations of Battambang’s killing fields, with a large cave where victims were thrown either after being bludgeoned or having their throats cut, or simply to their death. Phnom Sampeau is best visited in early morning or late afternoon when the light and the spectacular views are at their best. We’ve encountered some motodops who have expressed an unwillingness to drive out to Phnom Sampeau, claiming that it is a bad place that tourists shouldn’t see. The road out is partially sealed. Ask your motodop to take the main road out, but come back via one of the many back dirt routes that meander through the paddy. In the late afternoon light, it is beautiful. 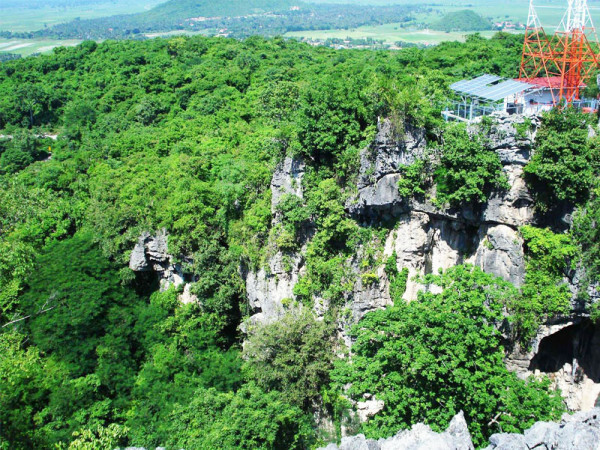 At the summit of this fabled limestone outcrop, 12km southwest of Battambang along NH57 (towards Pailin), a complex of temples (admission US$2) – several built recently thanks to donations from overseas Khmers – affords gorgeous views of the surrounding plains and, to the south, Phnom Banan. Some of the macaques that live around the summit, dining on bananas left as offerings, are pretty ornery. 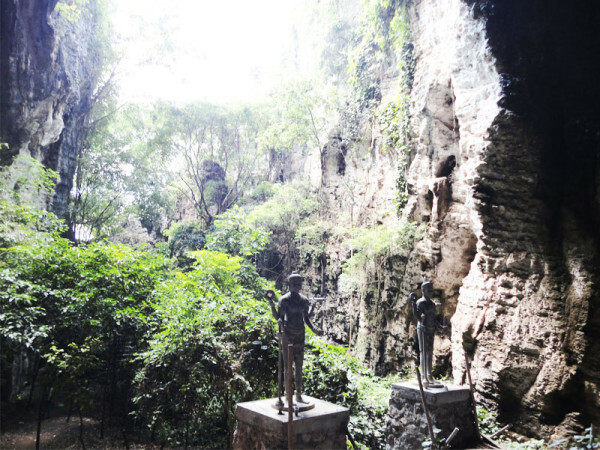 Between the summit and the mobile-phone antenna, a deep canyon – its vertical sides cloaked in greenery – descends steeply through a natural arch to a ‘lost world’ of stalactites, creeping vines, air roots, bats and statues of two Angkorian warriors. In the area between the two sets of antennas stand two government artillery pieces, one with markings in Russian, the other in German. 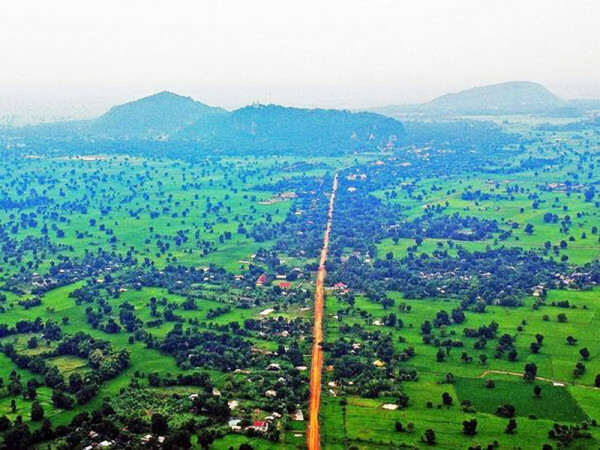 They still point westwards towards Phnom Krapeu (Crocodile Mountain), a one-time Khmer Rouge stronghold. About half-way up the cement access road to the summit, a turn-off leads 250m up the hill to the Killing Caves of Phnom Sampeau. 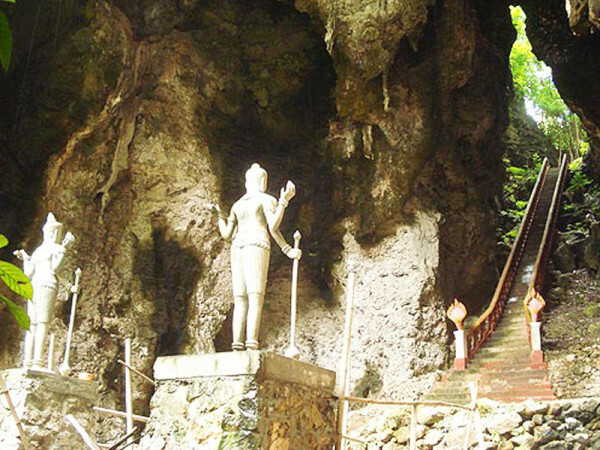 An enchanted staircase, flanked by greenery, leads into a cavern where a golden reclining Buddha lies peacefully next to a glass-walled memorial, dedicated in 2007, filled with the bones and skulls of some of the people bludgeoned to death by Khmer Rouge cadres before being thrown through the overhead skylight. Nearby is the old memorial, a rusty cage made of chicken wire and cyclone fencing. 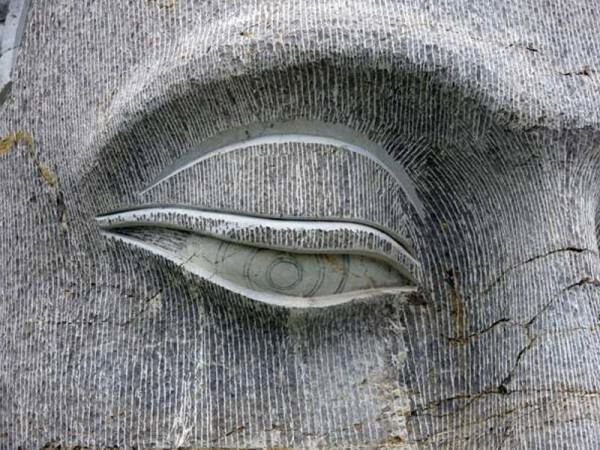 At the base of the hill, a 15m-high Buddha is being carved out of the cliff face, starting with the head. While more funds are raised, local macaques treat the scaffolding like a giant jungle gym.